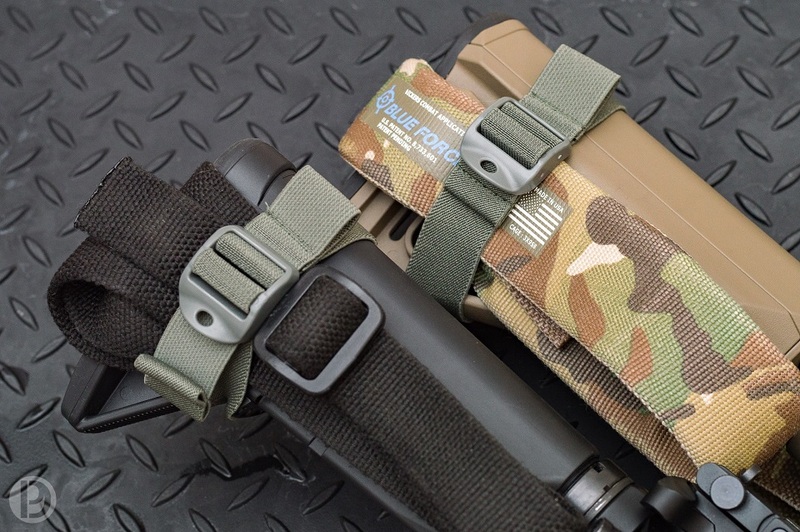 A good sling is an essential part of a fighting rifle. 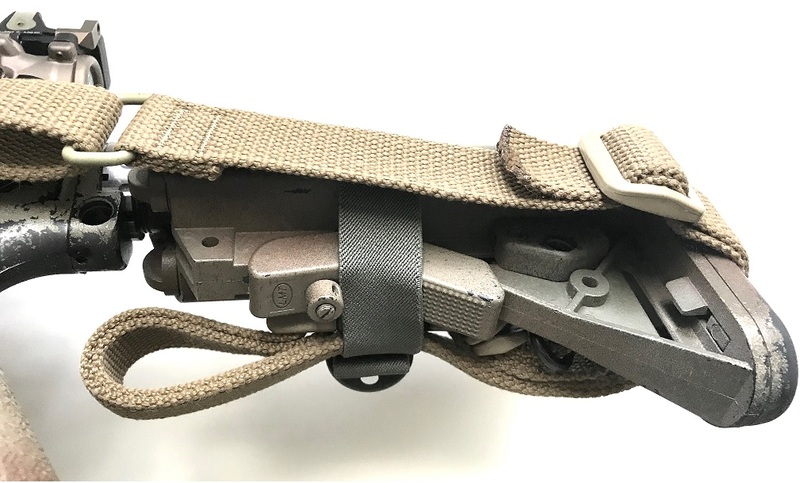 When the sling is not in use, it shifts and stirs with the rifle, and generally gets in the way. 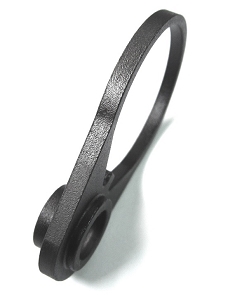 A piece of bicycle inner tube or rubber band slipped over the receiver extension or stock is a field expedient and free solution, though they do lack finesse and durability. 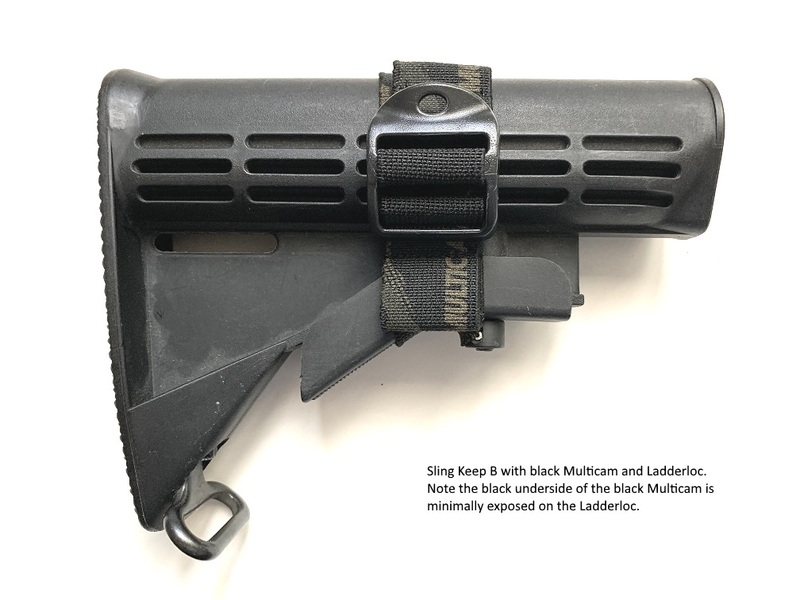 Sling Keep B is a variation of the original Sling Keep (version A that uses a 1/8" shock cord) with additional capabilities. 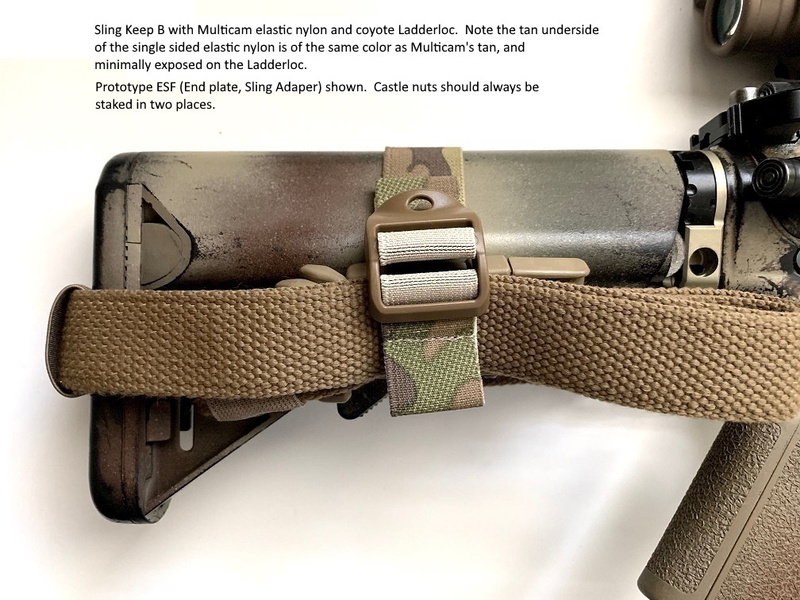 Sling Keep B uses a 1" wide Nylon elastic, and an ITW Nexus GTLL Ladderloc for quick adjustment. 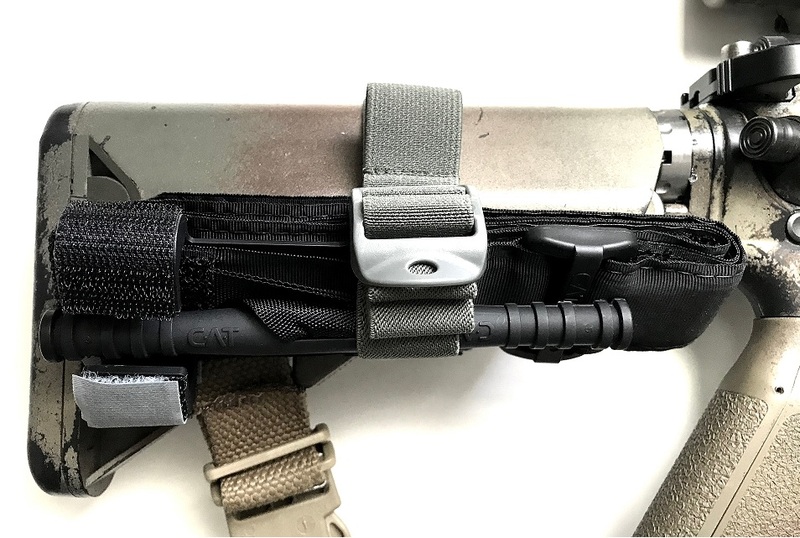 The additional width enables Sling Keep B to hold chem lights, tourniquet (Combat Application Tourniquet is available here as a bundle in a drop down menu), or bandages on the stock. 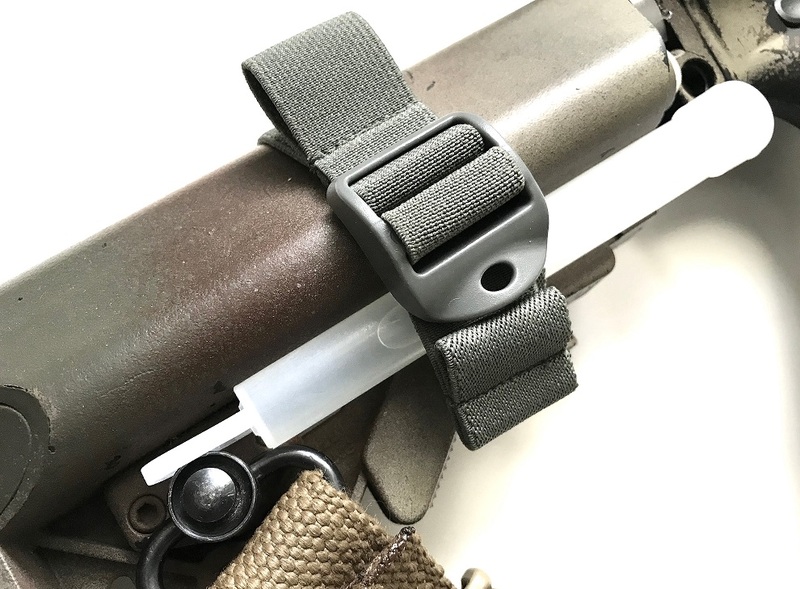 As the 1" Nylon elastic webbing provides more elastic tension, a pull tab is integrated on Sling Keep B to help pull the elastic webbing clear the stock while the sling, chem light, tourniquet or bandages are being tucked in. 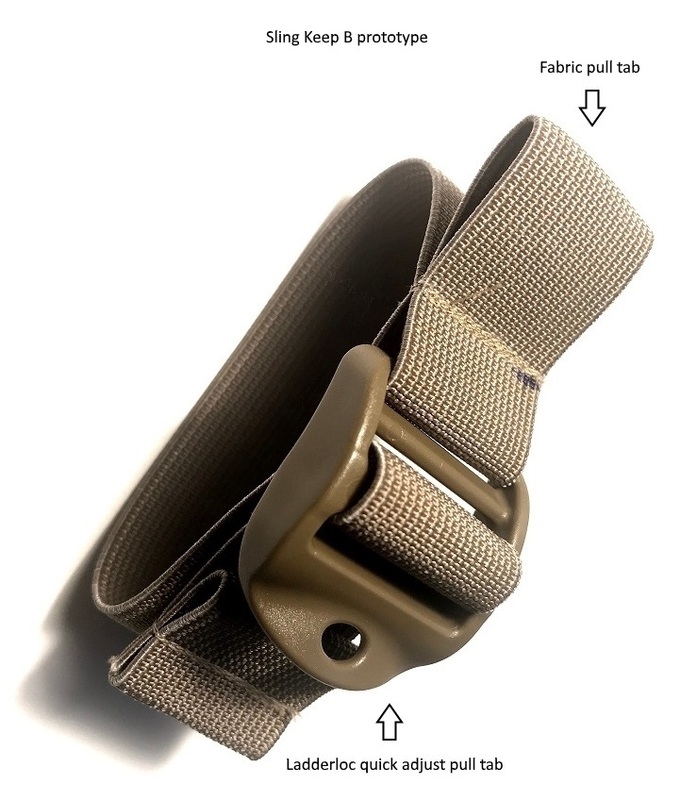 IMPORTANT: ALWAYS KEEP SLING KEEP UNDER TENSION. 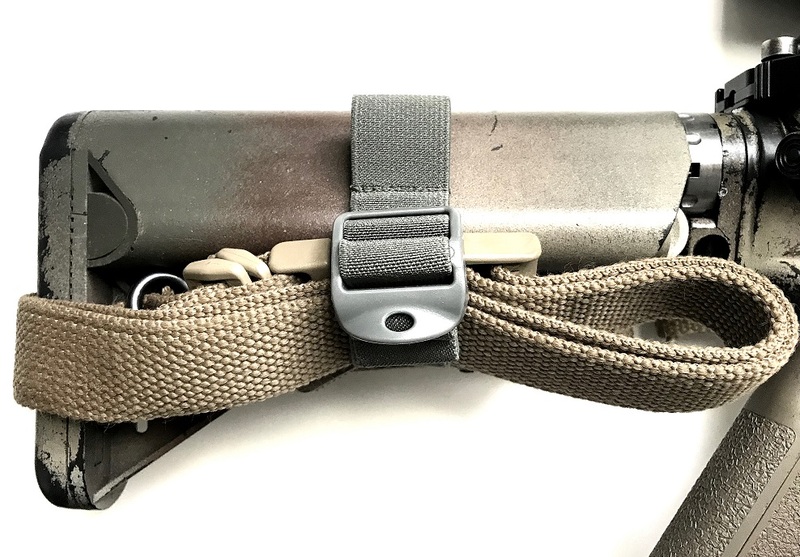 A loose Sling Keep will unnecessarily move about. 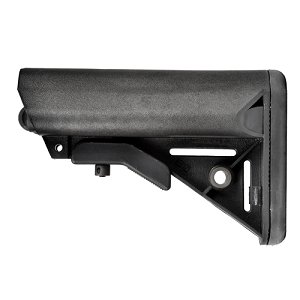 Due to its low cost, free shipping isn't included (shipping cost exceeds Sling Keep B's MSRP.) The best way to acquire it is to add it to other items in your order. 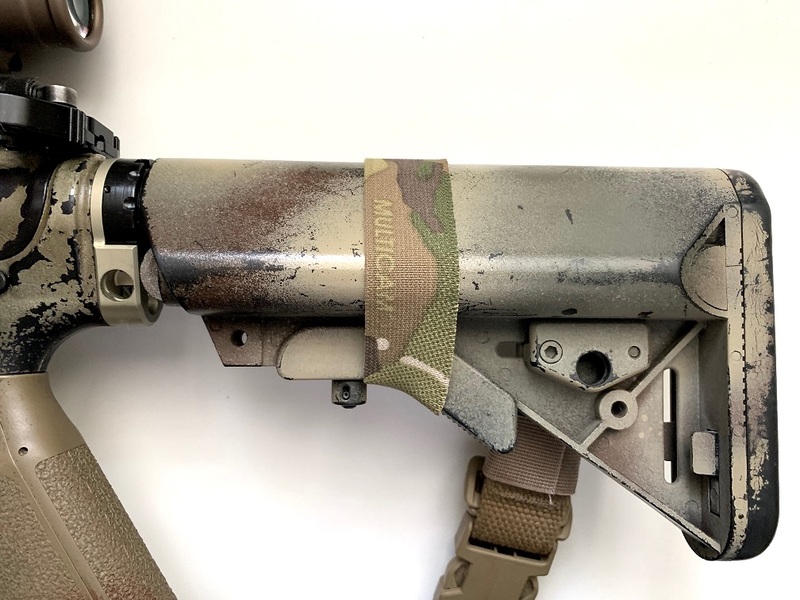 Available in coyote brown, black, Multicam, and black Multicam. 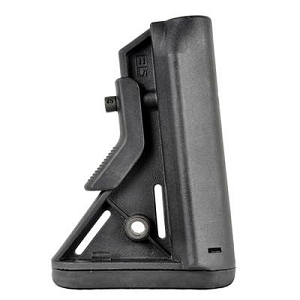 Very practical and functional device. Sling stows securely for transport, deploys in seconds. 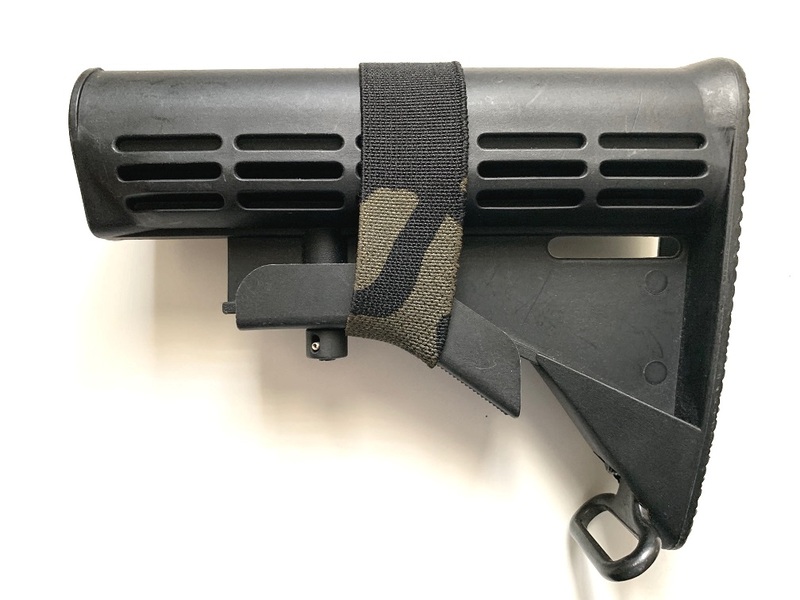 Even fits over padded slings and on the "fat" SOPMOD stock. I call this a winner in every way.